IBPS SO 2018 Exam applications start, apply online at ibps.in. 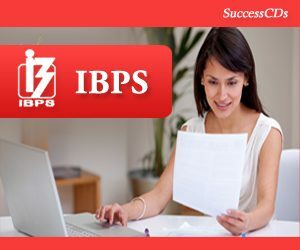 IBPS SO 2018 applications have begun online. Candidates who are interested and eligible can fill application form available at ibps.in. Institute of Banking Personnel Selection, IBPS is inviting applications for Specialist Officer – SO Examination 2017. The last date for submission of application form is 27 November 2017. Candidates will be permitted to take print out of the application form till December 12. The candidates should ensure that they have a scanned copy of a recent coloured photograph and his/her signature is also required in specification. The necessary details for online payment are: the application fee for SC/ST/PwD candidates is Rs. 100 and for all other categories is Rs. 600. The payment can be done only in the online mode through credit card, debit card, netbanking, IMPS, or through cash cards and mobile wallets. IBPS has notified a total of 1315 vacancies this year much lesser than the number of vacancies for which recruitment was held previous year, last year IBPS had announced a total of 4122 vacancies. 20 organisations have participated in the IBPS SO Common Recruitment Process. IBPS SO 2018 examination will be a two tier process, the examination will be held online, which will be a preliminary exam followed by the main examination. Candidates who qualify the main exam will be eligible to appear for Online Main Examination. Subsequently the ones who are shortlisted, will be called for Common Interview to be held by the Participating Organisations and co-ordinated by the Nodal Bank. Candidates are reminded that only online applications can be made. Any offline requests would be summarily rejected.